This recipe is from Sunset Breads, Step by Step Techniques (Lane Publishing, 1984). It is my bread making Bible. Most of my favorite bread recipes are found here. 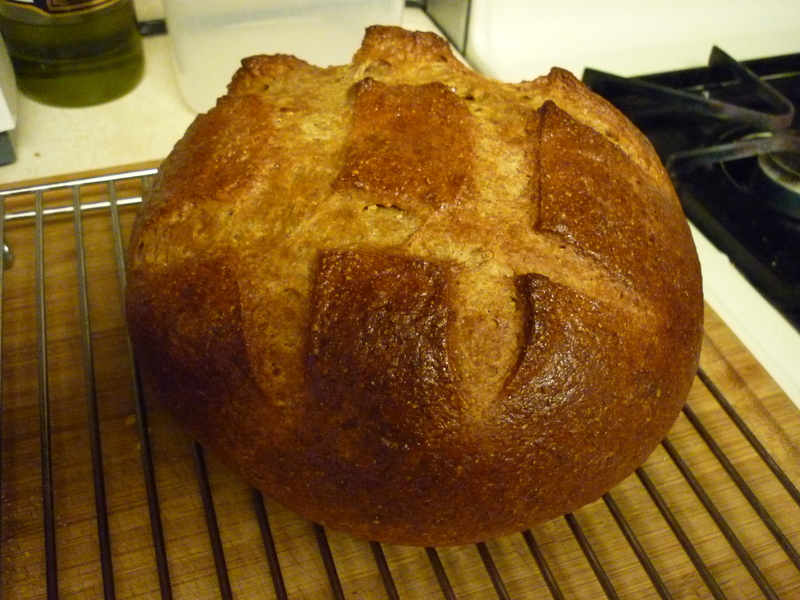 I’ve made this Molasses Pumpernickel Bread many times throughout the years. One lasting memory is when I pulled these loaves from the oven and then a couple friends stopped by. They started picking at one of the loaves and by the time they left, nearly a whole loaf was gone! I like to serve this bread with soup or German-style foods. Warm milk with butter until butter just melts. Stir in walk and molasses. Set aside. In a large bowl (or mixing bowl with dough hook) combine water, yeast, and brown sugar. Stir until dissolved. Let stand until bubbly (about 15 minutes). Then add milk mixture, bran cereal, rye flour, and 2 cups bread flour. Beat until well-blended. Using mixer, let it go about 5-8 minutes medium speed. Stir in about 1-1/2 cups more bread flour. Continue kneading or mixing until smooth and satiny, adding flour to prevent sticking. Place dough in a greased bowl; turn over to grease top. 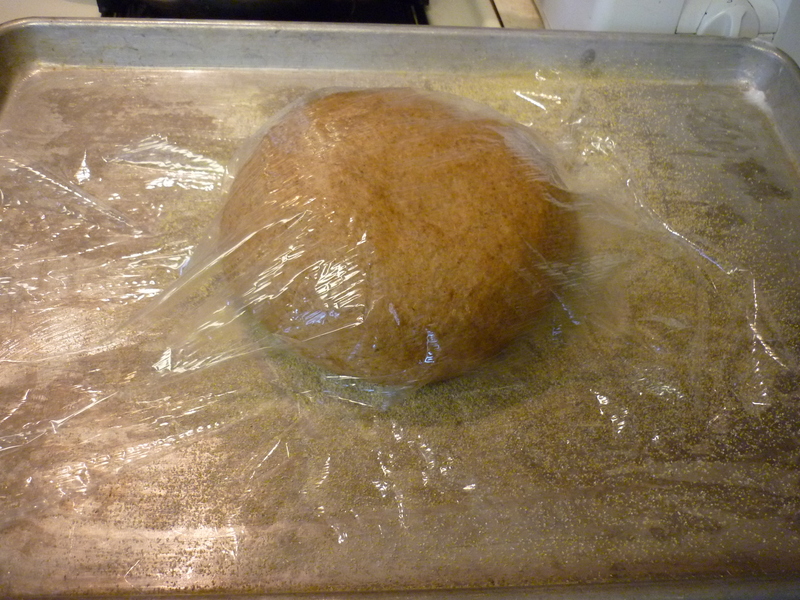 Cover with plastic wrap and let rise in a warm place until doubled (about 1-1/2 hours). Punch dough down, divide into two equal portions, and knead each portion briefly to release air. Then shape each into a smooth ball; flatten slightly. 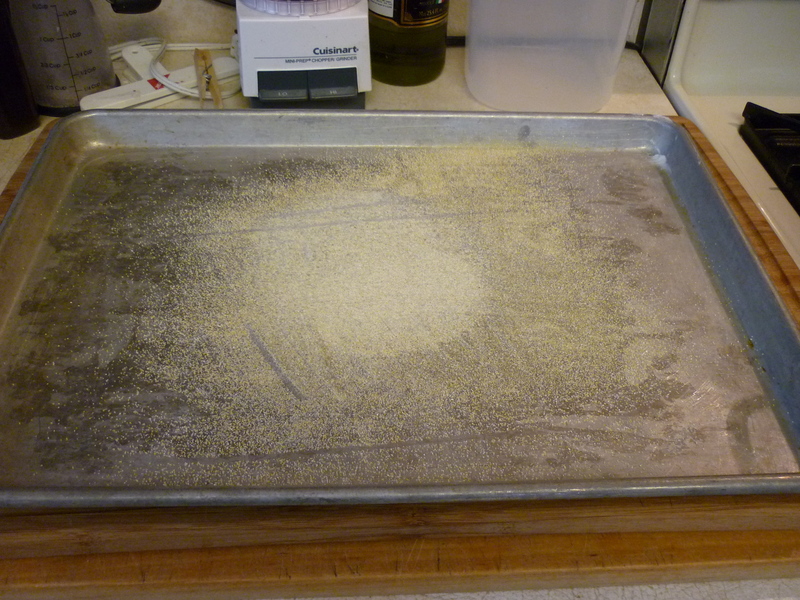 Place each loaf on a baking sheet at least 10 x 15″, which has been greased and sprinkled with corn meal to prevent sticking. Cover and let rise in a warm place until almost doubled (about 40 minutes). With a razor blad or sharp floured knife, make 1/2″ deep slashed on tops of loaves, forming a ticktacktoe design. 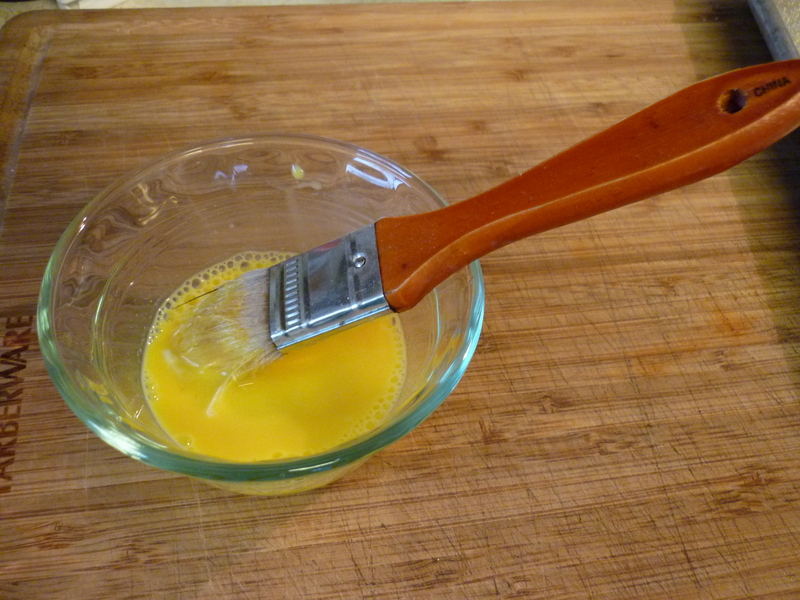 Brush tops and sides with egg yolk mixture. Bake in preheated 350 degree oven for 30-35 minutes or until bread is richly browned and sounds hollow when tapped. Transfer to racks and let cool. Makes 2 round loaves.